Challenging woods course with varying foliage and elevation - mixed with long open field holes. Dual tees. Rte 80; exit 19 (head towards Hackettstown), 5 miles to a right at the light on Rte 46 West, 4.5 miles to a left on Cemetery Rd., 1 mile to the park on the left. Drive all the way in to the end and park on right. Practice basket to the right of hockey rink. I see a lot of old review.Just want to let people know a lot has changed.All tee pads are now concrete.Also there are many people who maintain the course. It is in beautiful shape.Not overgrown at all.If you are in the area check it out. Very nice course, good design with some wooded holes and some open holes. One of the better options if you're willing to drive from NYC. This is my "Home Field" and my friends and I have been playing here for almost 4 years now... 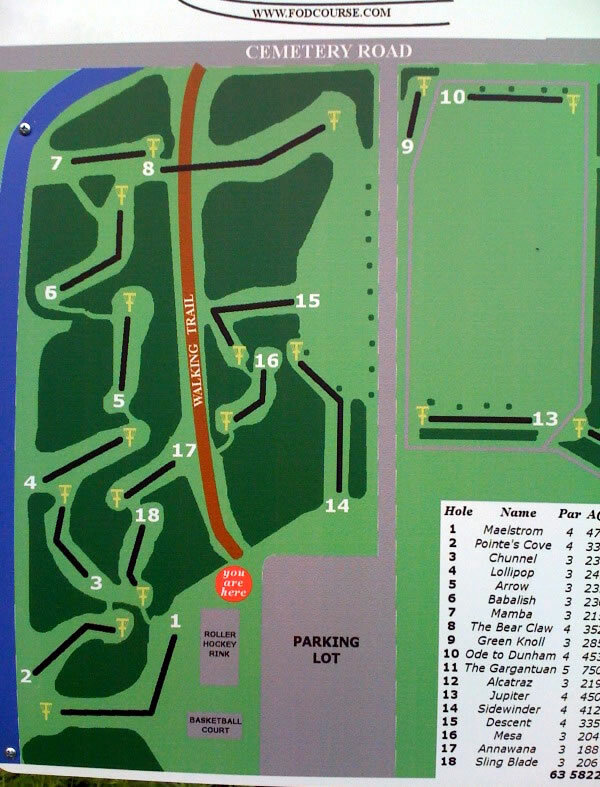 It is very diverse and has some challenging holes, ranging from an almost Par 6 in an open field to another hole alongside a road and soccer field and some in the woods up hills and down hills, around blind bends and through narrow shoot, hole 1 as you go down the hill, one can over shoot and go into the river if your unlucky enough, but most are extremely fun and unique. I'd give it 4 stars if it wasnt my home coarse. 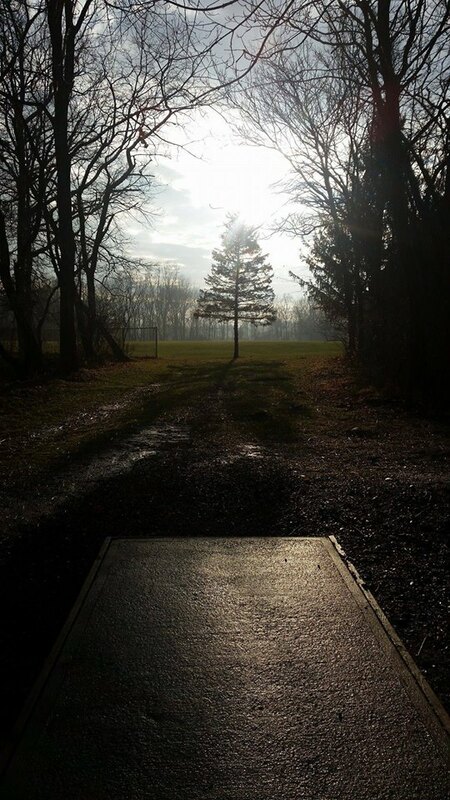 It does get a little muddy if its pouring out, and usually is overgrown in the summer, so you might find one of our 4 discs scattered throughout the area. Its on a nice rec area for the elementary school, and have baseball, basketball, v ball, soccer, and playgrounds and also has a food stand when there are big games... Its across from a Cementary and past the firehouse. I used to live in town but now I live down the road at The historical Inn at Millrace Pond in Hope, NJ by the "Land of Make Believe" which is less than ten minutes away. Its a bed and breakfast and an awesome restaurant/ bar with live music occasionally; come by if your hungry or thirsty afterwards and try out my short three basket coarse on the property. 908.459.4884 Enjoy North West NJ everybody... PEACE! This course if very fun to play in a group. Many tees are not safe to throw from because they are gravel. Many holes have paths or arrows pointing to the next tee. Some holes are scary to throw from alone because they are narrow and the surrounding areas are heavily treed or difficult to see. Couldn't find basket 11, but was challenging and diverse. The elevation changes were refreshing and interesting. This course has potential to be a very good course, however def has 3 issues. 1) the course is over grown and needs to be trimmed up 2) tees are gravel 3) some woods holes get monotonus. That being said they do have a few really cool and unique holes.